The Institute for Educational Initiatives, with its several units dedicated to research and action in service to America’s children and schools, is capturing lots of attention recently. The synergistic and interdisciplinary achievements of individual scholars and the aspirations of students and families around the nation and locally are all playing a part in the zeal for educational excellence among Institute faculty fellows. Especially for fans of Notre Dame’s Fighting Irish football, one high-profile mention of the Institute’s research work—and its synergies with the Alliance for Catholic Education benefiting disadvantaged students in under-resourced schools, was the NBC TV spot, “Fighting for Equal Education.” This story of IEI fellow Nicole McNeil’s research on early math education was aired on TV just as the Notre Dame “Fighting for Our Children’s Future” National Bus Tour was beginning its visits to Catholic schools in 50 cities across the nation, promoting the cause of educational excellence for children from all backgrounds. Meanwhile, a research term led by CREO has produced a new study adding insights to the use of student-learning data in teacher evaluation. This new center within the Institute for Educational Initiatives, directed by Matt Kloser, has received a grant from the Spencer Foundation. The grant will allow the Center to study how indicators of student learning can help middle school science teachers improve their pedagogical practices. This exciting news has drawn the attention of the daily news summary from the online STEM Connectior service. Another once of the Center’s activities has been working with dioceses to help Catholic schools take a more focused approach to science and math education, and this initiative already has received news coverage in the Diocese of Palm Beach. Stay tuned for the Center for STEM Education to be continuing and expanding its collaborations with academicians and education practitioners locally and around the country. They are co-sponsoring a STEM Forum at Notre Dame on March 1. James Frabutt, a respected education researcher and faculty member in ACE’s Remick Leadership Program, is director of the ACE inclusionary skills program for teachers, called Teaching Exceptional Children (TEC). This month, he was a guest speaker at the National Catholic Educational Association (NCEA) Teaching Exceptional Learners Conference. His expertise in the field of embodying holistic and inclusionary attentiveness in Catholic education is reflected in his recently published book, Beyond Academics: Supporting the Mental, Emotional, and Behavioral Health of Students in Catholic Schools. Frabutt has also co-authored numerous books and journal articles, and Education Week recently noted his piece in the journal Catholic Education that constitutes the first national map of Catholic pre-K program. He has also taken on leadership of the University of Notre Dame’s academic-community engagement initiative. As director of this initiative, Frabutt is facilitating and promoting the connection between Notre Dame faculty research projects and community, social, economic, and cultural development among off-campus individuals and groups. One such faculty-community connection involving Institute for Educational Initiatives fellows and others who care deeply about children and learning is the Engaging Youth, Engaging Neighborhoods initiative. Through cooperation with leaders of community engagement working through Notre Dame’s Center for Social Concerns, faculty members are able to achieve what Frabutt calls a “multiplier effect” where research into the successes for young South Bend residents can spread the word and help make similar initiatives possible around the country. Three Notre Dame educators became particularly involved: Maria McKenna, senior associate director of the Education, Schooling, and Society (ESS) academic minor housed within the Institute for Educational Initiatives; Stuart Greene, the founding director of the ESS who teaches in the departments of Africana Studies and English; and Kevin Burke, assistant professional specialist with the Alliance for Catholic Education (ACE). ACE’s many activities are housed within the Institute. A unique and multi-faceted connection between Notre Dame faculty and the South Bend community has reached deeply into local education through teaching partnerships in local public school classrooms, even as it has reached internationally to help Brazilian educators improve their skills in teaching English as a New Language. This winter, the Institute for Educational Initiatives has hosted 30 teachers from Brazil, advancing their pedagogical skills through intensive workshops, wide-ranging experiences of American culture, and direct contact with South Bend teachers and students. One of the teachers from Brazil was interviewed on a local PBS TV program in early February, along with the ACE graduate who was serving as a “language coach” assisting in her adjustment to an array of United States cultural experiences—not to mention everyone’s adjustment to recent winter weather experiences. High school students and their teachers are receiving a powerful boost in their aspirations for college and career success in the STEM disciplines through the Advanced Placement Training and Incentive Program for Indiana (AP-TIP IN), administered for a growing number of Indiana public schools through the Institute for Educational Initiatives. The latest example of success in this statewide campaign representing Notre Dame’s commitment to the future of schools and education occurred on Saturday, Jan. 25, when about 700 high school students converged on an Indianapolis-area high school to deepen their preparation for their College Board Advanced Placement ® courses and tests in English, Science, and Mathematics, with leadership from participating local high school teachers and the AP-TIP IN administrative team at the Institute. Two new links will demonstrate how the Institute for Educational Initiatives is bringing an innovative Notre Dame presence among national enterprises advancing teaching and learning in the STEM disciplines (science, technology, engineering, and mathematics). 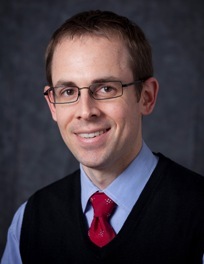 Prof. Matthew Kloser, an Institute faculty fellow and director of the recently established Notre Dame Center for STEM Education, outlined his center’s plans in a recent webinar hosted by STEMconnector for hundreds of leaders in the STEM field. Click on the first video you’ll see at http://www.stemconnector.org/townhall. The presentation by Kloser is toward the middle of the archived webinar. Kloser holds a Ph.D. in science education from Stanford University. His passion for improved learning of STEM disciplines at the elementary and secondary school levels dates back to his participation in the Alliance for Catholic Education as a Catholic school teacher in 2002-2004. He earned a M. Ed. degree through that curriculum. Kloser is a many-faceted resource for ACE and Institute units working in the area of STEM education. Karen Morris, who has served Notre Dame, the Institute, and ACE as an expert in science schooling since 1987, reports that the Institute’s Advanced Placement Training and Incentive Program for Indiana (AP-TIP IN) initiative, for which she is program director, shares in great news announced recently about high school teaching and learning in the STEM disciplines. The National Math and Science Initiative, which has provided grant funding for AP-TIP IN and similar programs in other states, announced that, for the fifth year in review, students participating in its program performed better than their non-participating peers in College Board Advanced Placement (R) tests in science, math, and English. This was the first year in which results from Indiana’s new program, administered statewide by the Institute, were counted. See the multi-state announcement. Stay tuned for the upcoming announcement of robust results showing Indiana students’ clearly increased readiness for college studies and careers involving the STEM disciplines. And stay tuned to the Institute’s website for more detailed information about the Notre Dame Center for STEM Education. Matt Kloser, director of the Notre Dame Center for STEM Education within the Institute for Educational Initiatives, received kudos recently when the online Stanford Teaching Commons posted a story about the integration of research and teaching. The story cited his role in research that found real value in such integration. Kloser, who was a doctoral candidate in Science Education at Stanford at the time, teamed with another doctoral candidate and two faculty members to study how an effort to integrate “inquiry-based instruction” into a professor’s course might stimulate student learning. Kloser, now serving Notre Dame’s Alliance for Catholic Education as a faculty fellow in the Institute, leads research and collaborations to increase interest among K-12 students in the STEM disciplines. The Stanford story looks back several years to the research project built around Prof. Tadashi Fukami’s biology laboratory class. He involved one group of his students in field work to gather data about microbial pollination, his own field of research. The rest of his students followed a more conventional syllabus for the course. Kloser and doctoral candidate Sara Brownell, under the guidance of Rich Shavelson, Professor Emeritus in Stanford’s Graduate School of Education, assessed the outcomes for the students who had become more engaged in the professor’s inquiries, compared with outcomes for the control group. As the story reveals, Kloser and Brownell provided insights that led Fukami later to include his whole class in the higher level of research engagement. Kloser’s study found that “students in the research-based lab had a more positive attitude toward authentic research, higher self-confidence in lab-related tasks, and increased interest in pursuing future research” compared with students in the more conventional lab course. Thanks to the Elkhart Truth’s excellent online local-education site for posting the Institute’s recent announcement about an AP-TIP IN opportunity for many teachers in Michiana. The hard-working team of administrators working with the Institute’s Karen Morris is helping to offer a summertime conference in Elkhart that will help teachers get ready to teach Advanced Placement (R) courses in the future, particularly courses in the STEM disciplines. The program is a win-win for students and teachers alike in a growing number of public high schools around the state–and no fewer than three high schools in the Elkhart area. It would be great if there were even more ways to reach out to the local educator community in Michiana with news like this. The Indiana-wide program that boosts STEM college- and career-readiness for public high schoolers–a program administered by the Institute for Educational Initiatives–has announced big plans for its second year of operation. On top of the nine high schools that participated in the first year of this Advanced Placement Training and Incentive Program for Indiana (AP-TIP IN), eleven more high schools were selected to join in the effort in 2013-2014. This growth, combined with the nice fit AP-TIP IN enjoys with the Indiana Department of Education and the funding partner, the National Math and Science Initiative (NMSI, pronounced Nimzy), was celebrated at an event in the Indianapolis State House on April 23. Glenda Ritz, Indiana’s Superintendent of Public Instruction, was among the participants in the ceremony. You can read all about the program’s purpose and plans at the IEI website. One of the most noteworthy aspects of this effort, which powerfully reflects Notre Dame’s commitment to advance the future of children and schools, is the way the business sector is embracing this program. I’ve found the media people most excited about this effort to encourage high schoolers as learners of science and math (and the study of English is also involved) are the people in the business media. In particular, Inside Indiana Business, serving corporate-world readers throughout the state, has responded well to our announcements right from the start. Recently, they featured the AP-TIP IN program on their hour-long TV show, broadcast on PBS stations. Click on the link, then click on the icon with the caption “College Readiness,” to see the five-minute segment from a recent program. NMSI is a nationwide initiative largely supported by companies who know they need employees well-skilled in math and the sciences. This need for such employees, and the corresponding hope for students graduating into the workforce with STEM knowhow, deserves greater awareness and more action among parents of high schoolers…and among many other stakeholders. They all can find out more about Notre Dame’s role at the AP-TIP IN web pages. Incentives paid to public high school students and teachers in connection with college-level studies in English, science, and math drew the attention of reporter Vic Ryckaert at The Indianapolis Star on March 4. As posted at Indystar.com, the story of the program promoting preparation for the College Board’s Advanced Placement (R) tests in those key disciplines recognized Notre Dame’s Institute for Educational Initiatives as administrator of the program. The story was also posted by USA Today and was referenced in a comment in a Tampa Bay Times blog. The program, called the Advanced Placement Training and Incentive Program in Indiana (APTIP-IN), is in the first year of a five-year partnership with the state’s Department of Education and the National Math and Science Initiative (NMSI). Karen Morris, a faculty member in the Institute for Educational Initiatives, serves as program director for APTIP-IN. She explained to The Star that the program, supported through grant money supplied to several states by NMSI, uses a business model–including $100 incentives paid to students who receive a grade of 3, 4, or 5 in specific AP tests–to encourage college-level, STEM-related preparation for Indiana’s future workforce. Education in the STEM disciplines–science, technology, engineering, and math–for which the private sector in Indiana and elsewhere has a growing demand, is an area of focus in the Institute for Educational Initiatives. The institute also houses a program called the Notre Dame Excellence in STEM Education Initiative. Jeffrey Steedle, Ph.D., a senior researcher at the Council for Aid to Education (CAE) and an adjunct professor at New York University, will present a talk titled “Measuring College Readiness: The Common Core State Standards Validation through Assessment Project.” The talk, sponsored by the Notre Dame Excellence in STEM Education Initiative, will take place on Tuesday, March 5, at 3 PM in the Remick Commons at Carole Sandner Hall. As explained at its website, the CAE is a national nonprofit organization based in New York City. Initially established in 1952 to advance corporate support of education and to conduct policy research on higher education, today CAE is also focused on improving quality and access in higher education. You can hear Steedle interviewed about the Council’s Collegiate Learning Assessment initiative. The interview took place on “Talk of the Nation” on NPR in March, 2012. Steedle holds a Ph.D. in educational psychology and M.S. in statistics from Stanford University. He received an M.Ed. degree in 2004 from Notre Dame through the Alliance for Catholic Education (ACE). As an ACE teacher, he taught in a Catholic high school in Baton Rouge and specialized in science education. He previously earned a B.S. in electrical engineering from Notre Dame. Find out more about the Excellence in STEM Education Initiative, directed by Matt Kloser, Ph.D., in Notre Dame’s Institute for Educational Initiatives. He and his wife, Jamie Rodriguez (’04), live in New York City. Here’s an invitation to current Michiana-area Advanced Placement (R) teachers, veteran AP teachers, and teachers who will be teaching AP for the first time next year. If you seek College Board-endorsed training in English, math, and science, apply to attend an AP Summer Institute hosted by the Advanced Placement Training and Incentive Program for Indiana (AP-TIP IN), administered statewide by the University of Notre Dame’s Institute for Educational Initiatives. See more information at the IEI website. Teachers in schools participating in the AP-TIP IN program are guaranteed admission, but attendance has been opened up to include teachers in non-participating schools, as space permits. The training will be held in Indianapolis July 9-12, 2013. Redesigns in biology, chemistry, and physics B will be covered during the trainings. Registration fee for the four-day event is $595. Learn more about the Institute’s role in STEM education. College Board, AP, Advanced Placement, Advanced Placement Program, AP Vertical Teams, Pre-AP and the acorn logo are registered trademarks of the College Board. Used with permission.